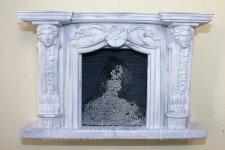 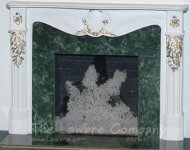 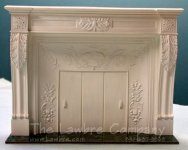 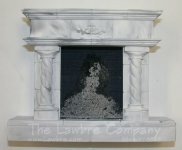 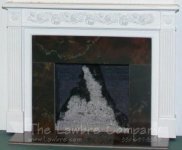 Finely detailed fireplaces, mantels, and surrounds in classical styles to fit most styles and eras of miniature houses. 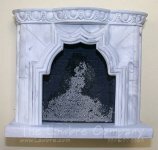 Several sizes and styles of miniature chimneys to complete your roof design. 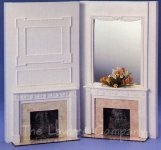 1095 - Twisted Column Fireplace, 2 Pc.